​Dr. Terence Yuen is the Founder and Executive Director of the Hong Kong Institute of Social Impact Analysts (HKI-SIA), one of the first professional bodies in Asia taking the lead to promote social impact measurement. He also serves as a board member of Social Value International, the largest international social value network in the world. A qualified accountant and a seasoned evaluation researcher, Dr. Yuen has worked as an independent research consultant affiliated with the Chinese University of Hong Kong and the University of Hong Kong. For over fifteen years, he has been undertaking research and consultancy projects in various capacities on areas including public policy review, program evaluation, philanthropy and nonprofit management, impact investing and social entrepreneurship. Before pursuing a career in research and consultancy, he spent years in the accountancy field as an auditing professional and undertook grant making at one of the largest philanthropic institutions in Hong Kong, allocating around HKD200 million on a yearly basis to support the activities of over one hundred charities every year. 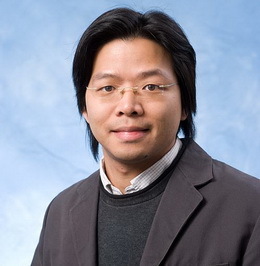 Dr. Yuen is currently appointed Research Coordinator at the Centre for Social Innovation Studies of the Chinese University of Hong Kong and Academic Instructor of the China Global Philanthropy Institute in Shenzhen. He frequently lectures at local universities, and is an International Fellow of the Center on Philanthropy and Civil Society at the City University of New York. Dr. Yuen graduated from the City University of Hong Kong with a B.A. in Accountancy, and obtained a MPA and a Ph.D. in Politics and Public Administration at the University of Hong Kong.